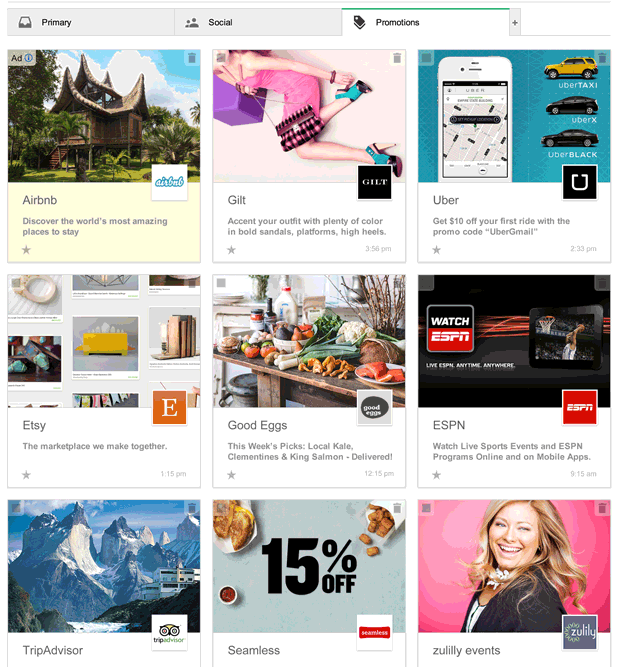 Gmail is going to enable its users to view the Promotions tab as an imagery look like Pinterest. The feature enables Gmail users to determine if e-mails from sources which contains sales, deals and other offers which may interest them. Users can receive emails like this only if the Promotions tab is enabled. Users can experience the trial and can take advantage of unlimited scrolling to make it easy to quickly find messages of interest. It is easy to toggle between the new visual grid view and the standard list view with just the click of a button at the top of the tab. People who use promotional e-mails could see Gmail Developers site to give their readers a better experience using the Gmail imagery promotional tab feature.